All-electric propulsion is slowly but surely taking over every segment of ground transport one at a time. Of course, we extensively cover passenger cars, but we’ve recently seen an all-electric stand-up personal watercraft and electric planes are coming too. Now we learn that all-electric snowmobiles are currently being tested and should become available next winter. I’m not too surprised that the startup leading the charge is based in my home province of Québec, where snowmobiles are very popular in rural regions, which is pretty much everywhere outside of Montréal’s metro area. Taiga Motors was founded in 2015 by three former McGill students, Gabriel Bernatchez, Sam Bruneau, and Paul Achard, who all worked on EV powertrains for the McGill Racing Team. They have partnered with Canadian Wilderness Adventures (CWA) and Whistler Blackcomb, one of the largest ski resorts in North America, to test their prototype (pictured above) during the latest season. They now plan to incorporate 10 of Taiga’s electric snowmobiles in their fleet for the next season. 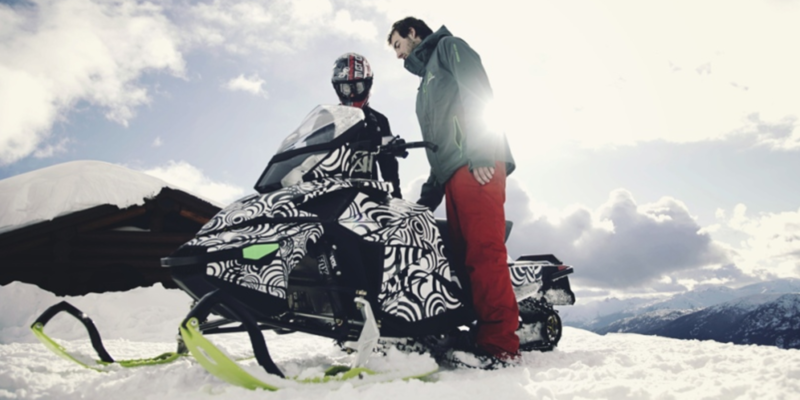 There are several advantages to electric snowmobiles, but primarily the facts that it emits zero emission and that is much quieter, which is always a plus when you are operating a machine in nature. As for the noise aspect, it brings it down from 96 dB to a more manageable 62 dB, according to the company. What about the range and charging? That’s where things get more difficult depending on your use. Some people use snowmobiles for relatively long distance trips around trails. Taiga’s electric snowmobile might not be the best solution for that yet with only up to 100 km of range (62 miles). But for an application like at a ski resort where the area to cover is fairly limited and charging can easily be arranged at the existing facilities, it becomes a perfect solution. Interesting new development in a new segment of transport for EVs. We will see if we can try it and report back during the next season.